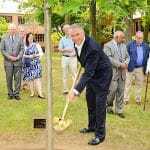 LaKota Oaks hosted its inaugural ribbon-cutting and tree planting ceremony in honor of former Mayor, Frank Zullo last week. 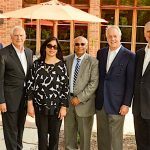 More than 50 people attended from Norwalk and the surrounding communities to celebrate the new ownership and management of LaKota Oaks, Southern Connecticut’s Event and Conference Center, as well as the long and successful life of Mayor Zullo, who passed away earlier this year. 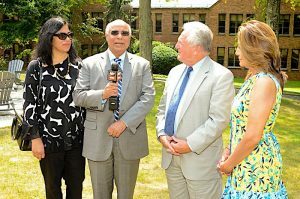 The attendees gathered along the sweeping front lawn of the property to hear warm dedications made by LaKota Hotels & Resorts Director, Andy Dolce, Norwalk Mayor, Harry Rilling, LaKota Oaks owner, Hafeez Choudhary and Frank Zullo’s wife, Bernice Zullo. 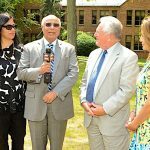 The community of people gathered around the tree to celebrate the life of Frank Zullo and the mission of LaKota Oaks to cultivate and nurture the strong roots and existing relationships of the Norwalk community. 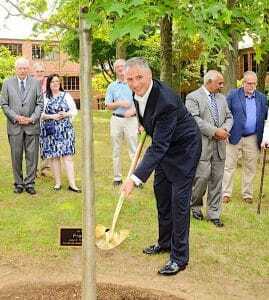 “This oak tree was planted to signify the strong influence Frank Zullo had on everyone he touched,” said Andy Dolce in his comments. “Frank Zullo was the best Mayor Norwalk ever had!” said Mayor Harry Rilling in his comments. 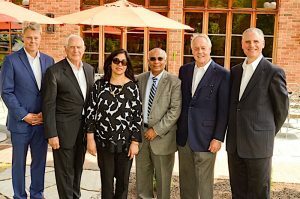 Sam Haigh, LaKota Hotels & Resorts President, presented a toast recognizing the residents and businesses in Norwalk and greater Fairfield County for their continued support in bringing their conferences, corporate retreats, weddings, parties and social events to the facility. Attendees included Norwalk Mayor, Harry Rilling, Norwalk Chamber President, Brian Griffin, Norwalk Community College President, David Levinson, new owner of LaKota Oaks, Hafeez Choudhary, of Queens Plaza LLC, Silvermine Arts Center Gallery Director, Roger Mudre, several members of the West Norwalk Association, as well as the entire LaKota Oaks operations and management team.